The Davis family proudly present their Christmas lights display for the 2016 holiday season. 35,777 lights across 8,452 computer-controlled channels synchronised to Driftmoon's phenomenal 'The Ark.' Located in St Petersburg, FL, USA. 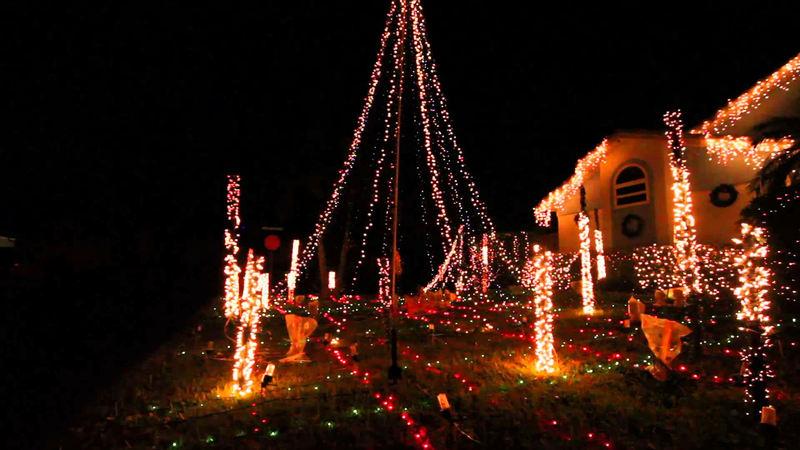 Visit us online at http://www.lightupflorida.com and follow us at http://www.facebook.com/lightupflorida. This year's display will run nightly, from 6:00pm to 10:30pm, until New Year's Eve. Email info@lightupflorida.com including your name and proposed visit date if you'd like to arrange to see the lights in person! More of a self-promotion ad than article, considering the "we". Loads of sequencing work, I am certain, but more shock and awe than actual 'dancing' lights sequenced with the music. I did not make these lights but they were made by my teacher, who was very proud of it with his engineering son. Lights probably made in China.